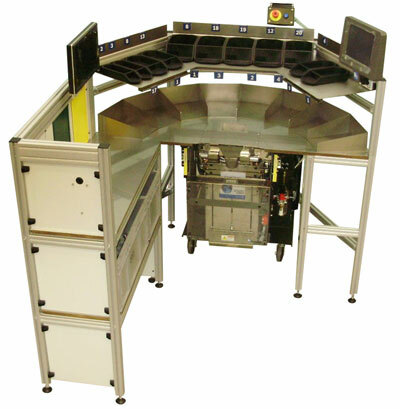 Comcount manufacture a range of operator workstation designed to work in conjunction with an Autobag AB Range Bagmaker to maximise operator efficiency and comfort in hand load applications. 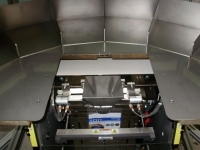 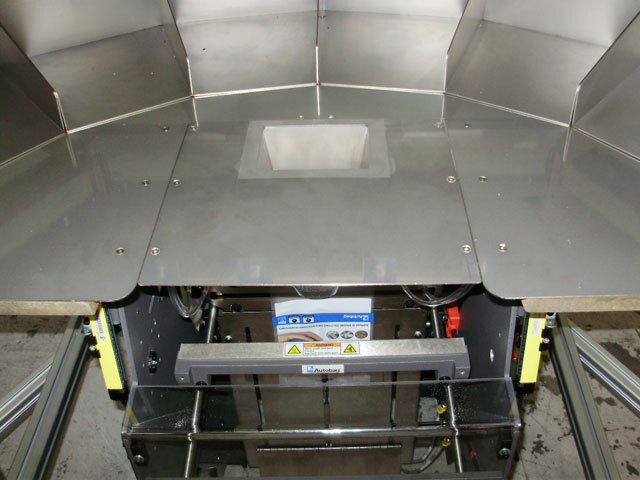 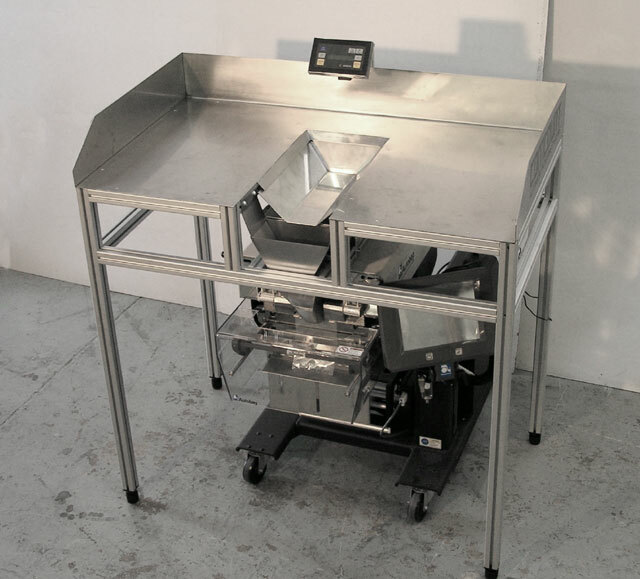 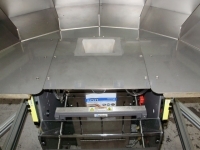 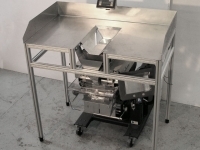 The unit basically consists of a free standing aluminium framework with a stainless steel packing table incorporating a chute into the Autobag Bagger. 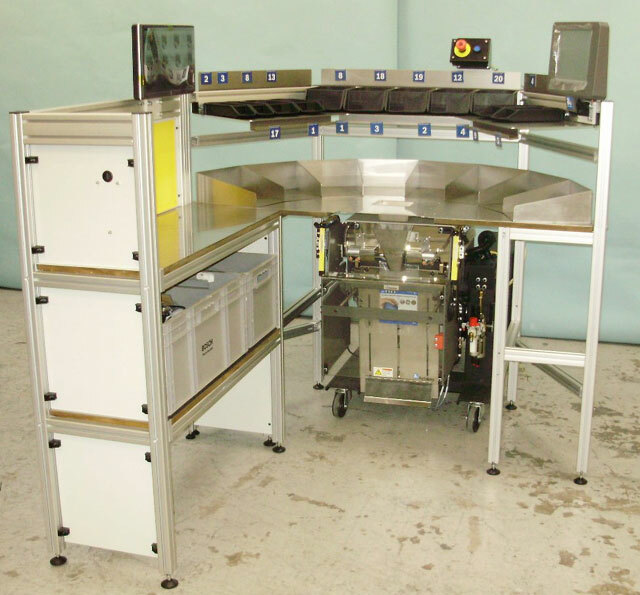 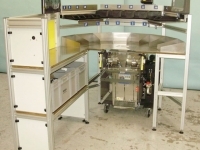 The worktable can be open or be configured with different numbers and sizes of parts bins to hold the items to be packed making it ideal for producing spare parts packs or fixing kits.